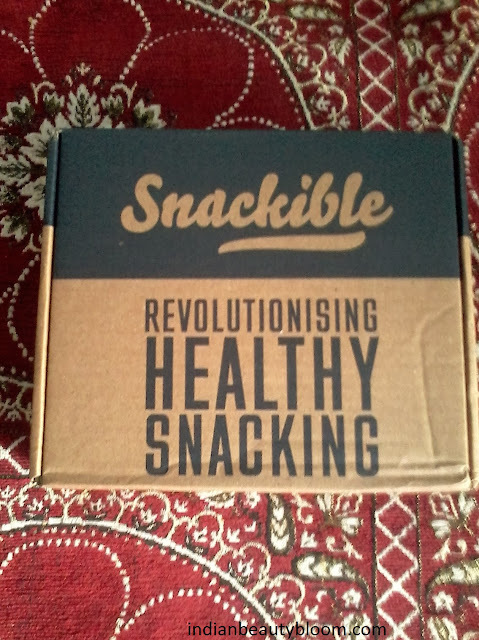 Today i am going to do a website review for site called snackible.com . Snackible.com is a site where one can order healthy snacks . 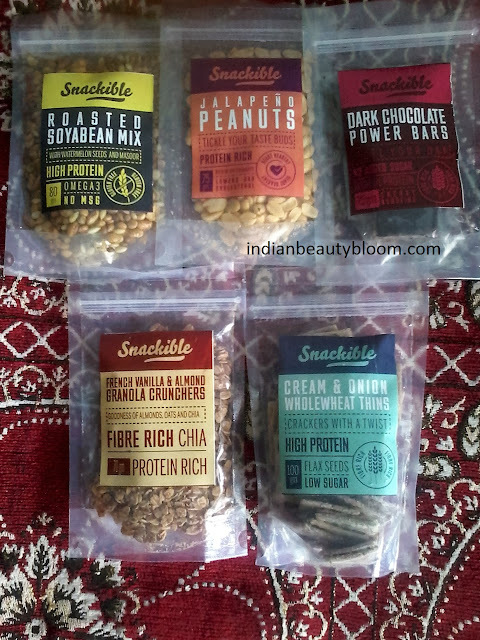 Its a type of Subscription service which provides healthy snacks in an affordable price at your door step . They have various subscription plans , price range starts from as low as 299 for a box with five packets of snacks . This weekly subscription box has five snacks and it costs Rs 299 . The monthly subscription box costs Rs 850 . 4.Dark chocolate Power Bars . I have tried these snacks and i really liked them , all very delicious and good to eat . Now what i liked about this site is they provide healthy snacks . We all like munching something in between meals and most of the time we munch some thing unhealthy like cookies , chocolates , sweets which are not good for health . So if we get some healthy snacks , its good for our health . Healthy snacking is very important as it helps to keep the blood sugar level normal , increases the energy level for a long period of time and it can also be included in weight loss plan . As if one is feeling full with healthy snack , he/she will tend to eat less during meal time . Thus the concept of eating small portion of meals and maintaining weight and being healthy can be achieved with healthy snacking . 1.They do not add any chemical preservatives to increase shelf life. 2.Snacks are hygienically packed in individual packets , one can open one at a time and enjoy it . 3.Most of the snacks are Baked and not Fried so healthy . 4.Quality of products are good and all the snacks i have tried are delicious . 5.Most of the products have high fiber and are rich in protein so healthy . So one can get healthy and delicious snacks at at affordable price at snackible.com . To place the order one needs to register at the site , fill in their details , choose their subscription plan , one can opt for various payments methods , They also provide Cash on Delivery option with no extra cost . They deliver any where in India .